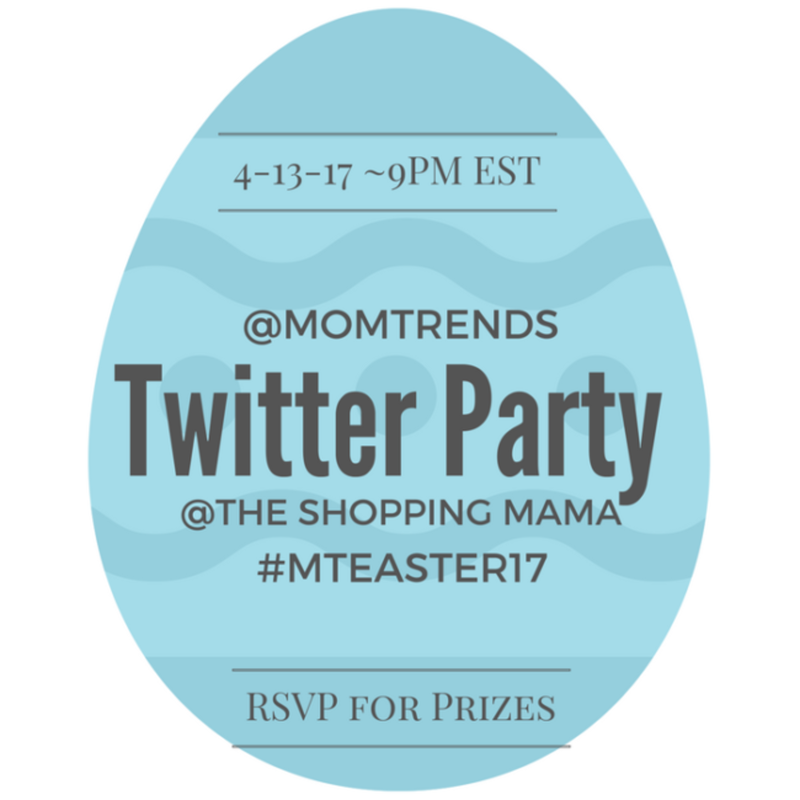 Easter Trends & Basket Ideas—Plus, a Giveaway! We are gearing up for the Easter Bunny to gather the sweetest goodies and head on down the bunny trail leaving baskets full of treats of all shapes and sizes. 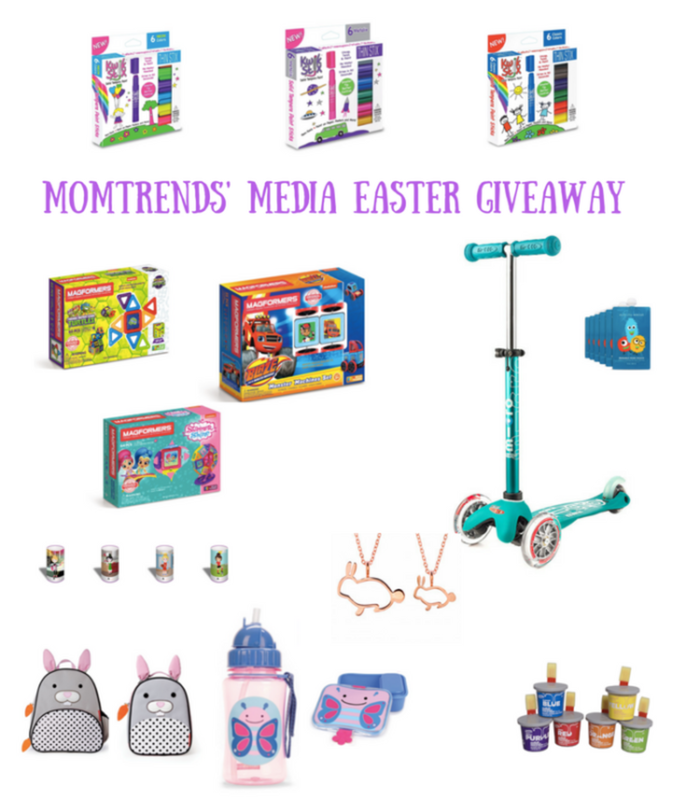 We are getting a jump on the gift giving and bringing you our fave Easter trends and basket ideas. Of course, we are also bringing you an amazing Easter giveaway! We brought you Kwik Stix at holiday time, and they are definitely a huge hit and one of our favorite finds of the year. Not only are the Kwik Stix made of quick drying tempura paint, but they are peanut, egg, and gluten free which makes them fun for everybody—perfect for the classroom, on the go, and, of course, tucked in your little one&apos;s Easter Basket. We love Kwik Stix because they dry in 90 seconds! They work on wood, canvas, poster, aluminum, any kind of paper, and more. 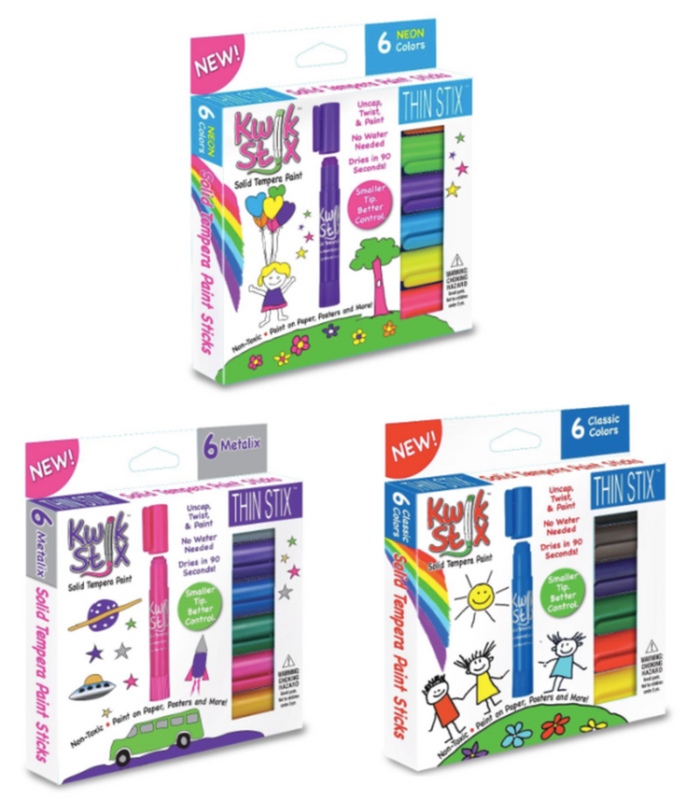 The latest from Kwik Stix are Thin Stix which opens the door to creativity even wider. 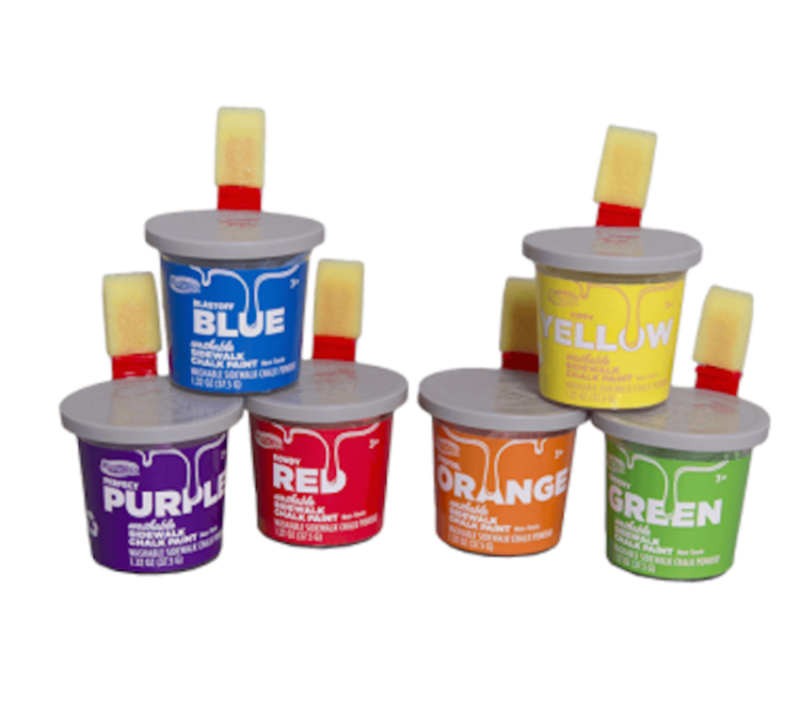 My children love them because they are easy to use, dry in seconds, and the vibrant array of colors allows them to create (mess-free!) anything they can imagine. We all know that Easter brings in everything spring. We are super ready to kick the cold weather to the curb and get on with our outdoor living! My youngest is ready to dash around the park and around the neighborhood on her Micro Mini Deluxe scooter from Micro Kickboard. Micro Kickboard has been a brand fave for years because the quality just can&apos;t be beat. 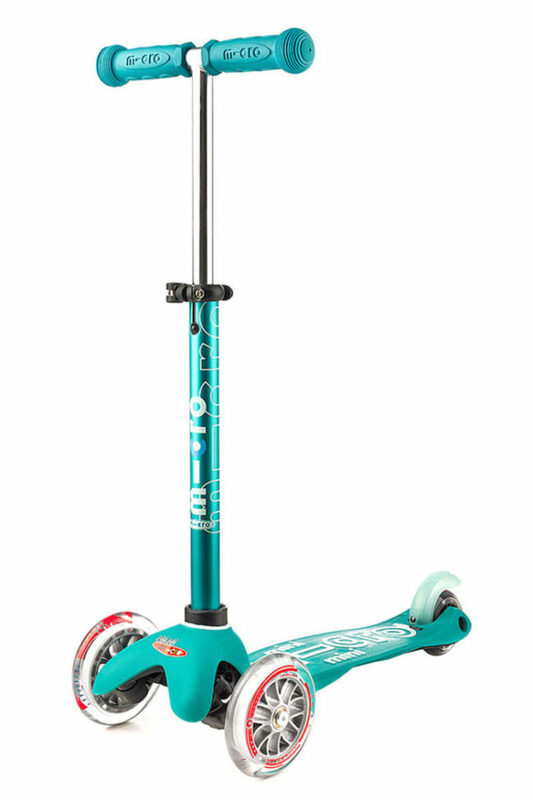 The attention to every detail is evident and the quiet(est) lean-to-steer scooter ride is smooth, fun, and safe for the littles. The Micro Mini Deluxe offers a new adjustable T-bar that accommodates children as they grow which makes it perfect for the 2-5 age group. The fun new deck colors with matching anodized T-bars make the ride as sleek-looking as it is fun to ride. We always love to support open-ended creative play especially when it fosters problem-solving and building skills. We are really into Magformers. MAGFORMERS® prides itself in the quality of the product and the play experience it delivers. Each shape contains rotating Rare Earth Neodymium magnets, the strongest of their kind for guaranteed connectivity. With MAGFORMERS®, every magnet is kept safe and secure in sonic welded, BPA free, HQABS plastic. This process of manufacturing ensures each magnet is encapsulated with the utmost security, providing a safe, long lasting play experience. With MAGFORMERS® the creative building possibilities are infinite. Just for Momtrends&apos; readers, enjoy 20%off when using code momtrends20. Another sweet treasure for the basket is a matching set of necklaces. 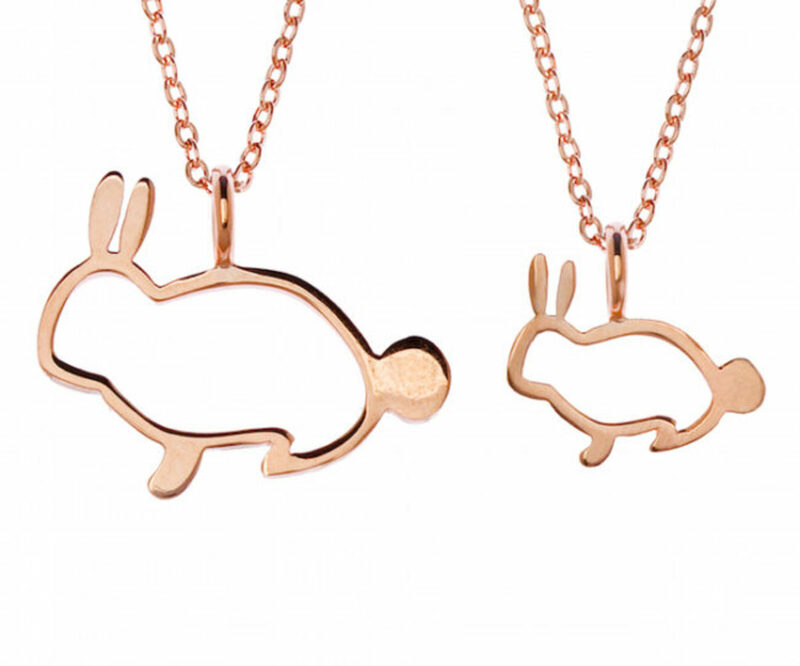 Two-x-Two is a collection of charms meant to be paired and shared with those you love. Unique and whimsical, these charms celebrate the everlasting love between mother and daughter, sweet affection of siblings, honor the friends you have known forever, or signify the start of a new relationship. Two-x-Two is a new collection from Samantha Faye jewelry and Momtrends readers can shop and save 25% OFF using a unique code just for you:momtrends25. For outside creating, We like Rose Art&apos;s $.99 paint buckets. They make great Easter basket goodies and the paint brushes and stamper sets are fun ways to get kids to play outside and express their creativity. Choose from six vibrant chalk paint colors, and all you have to do is add water and viola you’re ready to paint! (Don&apos;t worry, the chalk paint easily washes away with water. As a mama of two little girls, I love to get creative with their hairstyles. My most recent fave is the ever sweet hair accessories from BunToppers. Buntoppers is an adorable, collectible line of hair pin accessories that can be worn in many favorite styles including buns, braids, ponytails and more. Each Buntoppers character has her own distinct personality, interests, and talents giving girls a variety of fun friends they can relate to. Get to know each Buntoppers character and decide which one you want to proudly display in your hair and join you for that day’s adventure! It is always fun to tuck new drink cups and food containers into the kids&apos; baskets. I love to fill them with candy as a fun and decorative way to jazz up their baskets. 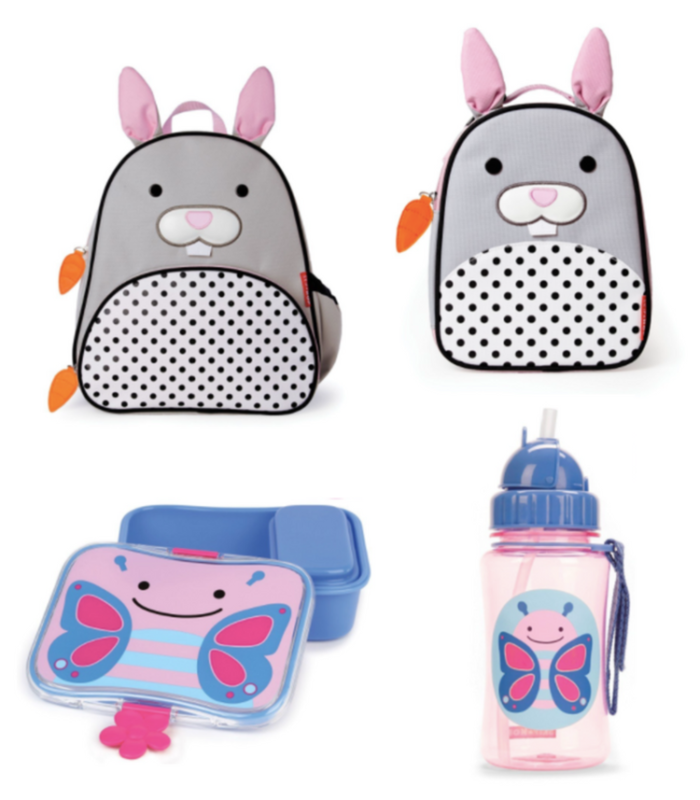 Skip Hop has an adorable Zoo collection and what better way to welcome spring than with butterflies! Of course, no-bunny would dispute that these cute little bunny critters aren&apos;t the perfect way to say "Happy Easter!". Who could resist those sweet carrot zipper details?! 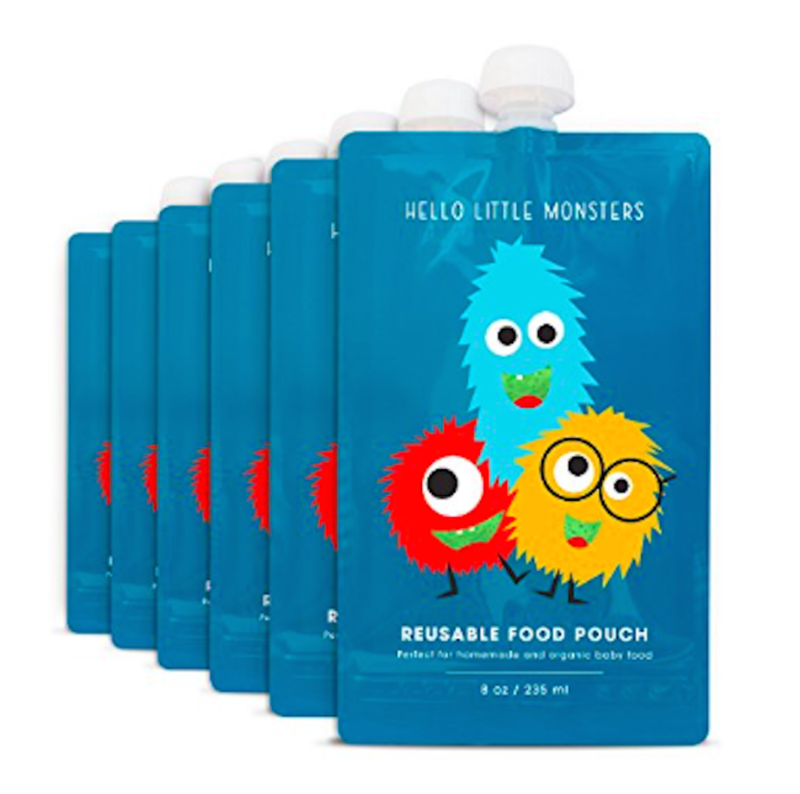 For non-candy basket ideas, I love Hello Little Monsters reusable food pouches. Refillable, mess-free and eco friendly! Save time, money and Mother Earth with these adorable reusable food pouches.